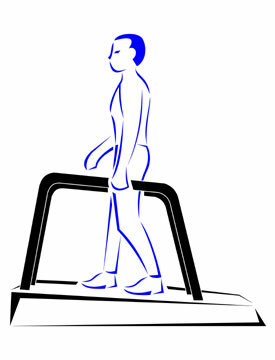 Tolerance for exercise depends on the type of repair the patient received. Those with arterial switches have a fairly normal heart and therefore should be able to do most forms of exercise. Sometimes during growth, however, the coronary arteries may become kinked or narrowed. Therefore, exercise testing is usually recommended before allowing truly competitive sports. Those with an atrial baffle (Mustard or Senning) are much more at risk of arrhythmias or hypotension (low blood pressure) during exercise and therefore should be watched much more carefully and perhaps limited to moderate exercise only. Some of these also have pulmonary hypertension.